Tracing the flow of blood through the heart isn't as simple as it may seem. The heart is a complex organ, using four chambers, four valves, and multiple blood vessels to provide blood to the body. The flow through the heart is equally complex, with blood moving through the heart, then the lungs, before returning again to the heart. Blood returns to the heart from the body via two large blood vessels called the superior vena cava and the inferior vena cava. This blood carries little oxygen, as it is returning from the body where oxygen is used. The blood first enters the right atrium. It then flows through the tricuspid valve into the right ventricle. When the heart beats, the ventricle pushes the blood through the pulmonic valve into the pulmonic artery. This artery is unique: It is the only artery in the human body that carries oxygen-poor blood. The pulmonic artery carries blood to the lungs where it “picks up” oxygen, and leaves the lungs and returns to the heart through the pulmonic vein. The blood enters the left atrium, then descends through the mitral valve into the left ventricle. The left ventricle then pumps blood through the aortic valve, and into the aorta, the blood vessel that leads to the rest of the body. This may make it easier: Without the valves, the ventricles of the heart couldn’t develop any force or pressure. It would be like pumping up a flat tire with a huge hole in it. You could pump all you want, but the tire would never inflate. In the case of the heart, blood would come into the chamber, and just slosh through the chamber and out the valve at the bottom, or upward in the wrong direction each time the ventricle tried to pump blood. Instead, the valve at the top of each ventricle opens to allow it to fill, while the valve at the bottom makes sure the blood doesn’t leak out. When the ventricle is full, the top valve closes and the bottom valve opens. The ventricle squeezes the blood out forcefully through the bottom valve. 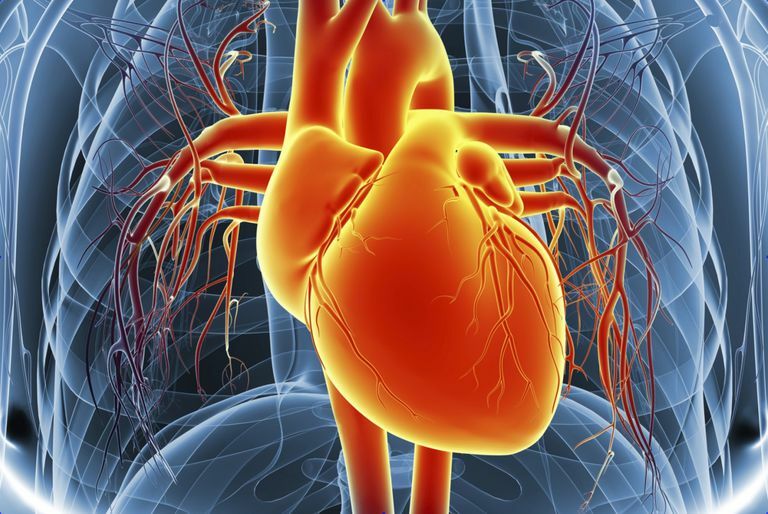 Essentially, the valves keep the blood flowing in the correct direction through the heart. Blood leaves the heart and goes to the tissues of the body to provide oxygen and perform other tasks that sustain life. Blood then returns to the heart. First, blood flows into the right atrium, passes through the tricuspid valve, and makes its way into the right ventricle. It then moves through the pulmonic valve, into the pulmonary artery to the lungs. After picking up oxygen in the lungs, the blood moves out of the lungs into the pulmonary vein, into the left atrium, through the mitral valve, and into the powerful left ventricle that pushes blood to the body through the aortic valve. Once blood leaves the heart it is in the aorta where it flows to various parts of the body. Basic Anatomy and Function of the Heart. YourHeartValve.com/Edwards Lifesciences. Heart Anatomy. The Texas Heart Institute at St. Luke’s Episcopal Hospital.